Louisville's season didn't finish with they type of glory they were hoping for. They were blown out at Syracuse and had a disastrous home loss to UConn. The quest for an undefeated season went up in smoke, but the BCS Bowl bid was still alive, if they could take the season finale' at Rutgers. Full disclosure: Syracuse is the alma mater and Rutgers is the home state team, but Backtime's been on the Louisville bandwagon for almost all of 2012. 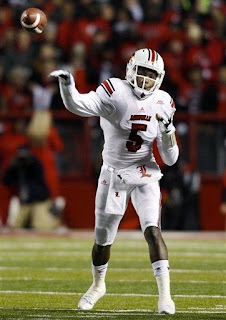 Mostly because of sophomore QB Teddy Bridgewater. Bridgewater is the counterpart to Texas A&M's Johnny Manziel. While Manziel is a slasher, Bridgewater is a surgeon. And both are tougher and bolder than any 19 year-old could realistically expect to be. Last night, Bridgewater came out in the cold New Jersey night with a cast on his non-throwing wrist, which made it impossible to take snaps from center or play-action. He had a sprained ankle that made planting and throwing just as hard. 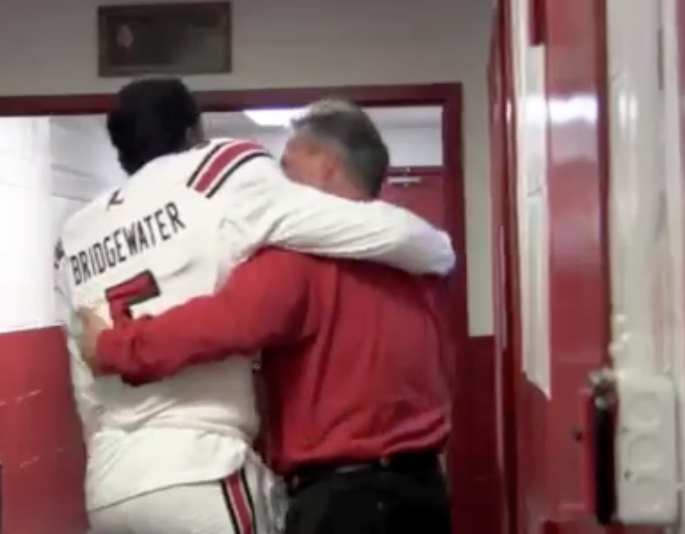 So what remained was Bridgewater's guts and guile (and some needed subbing from backup QB Will Stein), as Louisville erased a 14-3 halftime deficit. They climbed on his back in the 2nd half and delivered with a game-winning drive and a 20-17 win. If you saw Bridgewater's line, you never would've known anything was amiss: 20-28, 263 yards, 2 TD and 1 INT. After the game, Offensive Coordinator Shawn Watson descended from the coaches' booth to emotionally show his appreciation. 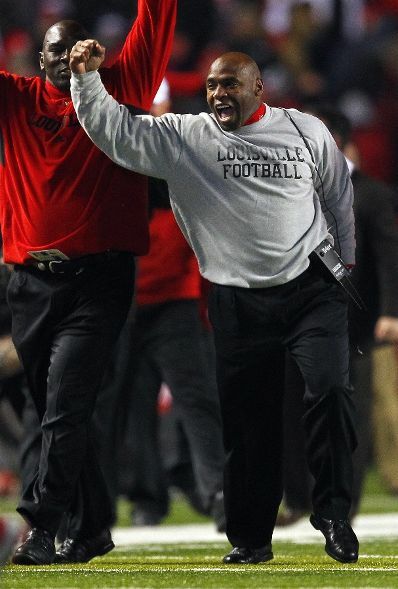 And with all the talk this week of Head Coach Charlie Strong leaving for richer pastures, the team wasn't distracted. 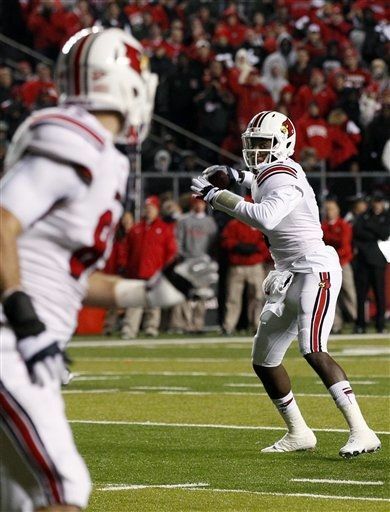 They were focused on The Orange Bowl, which just happens to be played in Teddy Bridgewater's hometown. The opportunities for Charlie Strong will continue to be there. But you'd have to think he's not going anywhere (yet). Not when he can coach Bridgewater for one more year.